I wore empire pants plus a t shirt and elbow pads, knee pads and soccer cleats. That setup got me through damn near every situation I had to go through. For pants I use these they hold up great. 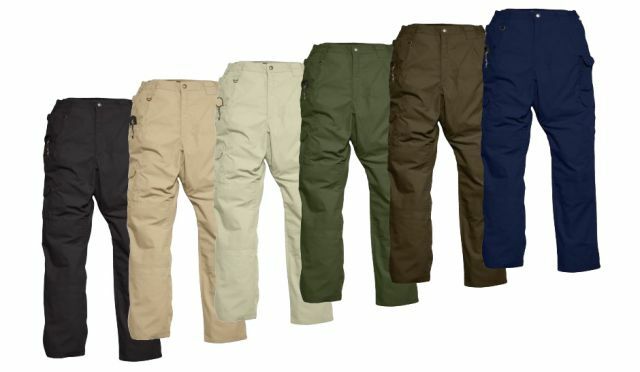 Better then any BDU/ paintball specific pant I have used over the years. Light, heavy duty, lots of pockets. I use Planet eclipse pads they are over 6-7 years old now. Buy good ones and they last a long time. For jersey most of the time I use a baggy long sleeve. (Over pads) I never run short sleeve due to scars and brush. I find a baggy long sleeve is the way to go. I keep a few with me and switch them out if need be. Find a good head wrap. I like to use two thin ones over one real thick head wrap. https://ocdpaintball.com they even make custom ones if you want. Cleats I use turf cleats for football. They have a bunch of small rubber spikes instead of a few hard spikes that get slippery on rocks and other hard surfaces. They work great on any surface. Last edited by Mr Idiot Box; 08-09-2016 at 11:15 AM. 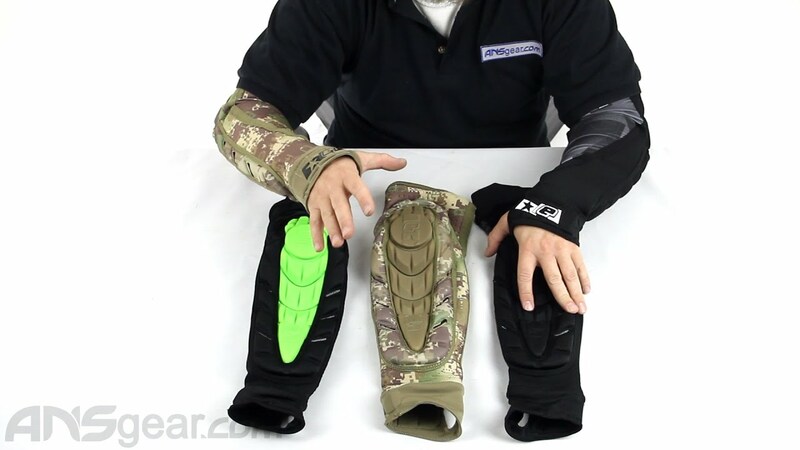 I usually wear gloves with the WTF Gauntlets, and almost every single arm pad on the market besides the Valken Agility (which is so thin and laughable I may as well just get regular McDavid arm pads) have this weird "half glove" thing going on at the end, seems like it'd just be an inconvenience. Are there any pads out there that don't have the half-glove thing going on? You can cut them off. I had a pair that wore out in the palms years ago from playing snake and diving on them all the time. I just cut that material off and they stayed in place just fine. Its thin material almost spandex like. I dont see it being an issue with the Gauntlet setup. I have two simular Gauntlet style rigs on order should have them in a week. I will let you know how the PE pads work with the wrist rigs. Last edited by Mr Idiot Box; 08-11-2016 at 12:13 AM. I'm going to preface this. I work in a warehouse in SLC woth no ac only scattered industrial fans. You sweat just standing still. To help combat this, I've invested in Hanes x temp underwear line, primarily only the stuff made out of polyester. My feet no longer feel like they are in an oven, the twig and berries can breathe. I plan on buying more just for paintball as we routinely hit triple digits with almost zero humidity. If you insist on a camo jersey, Valken has their Echo line, its pure mesh and that's about it. The Sierra line is durable as hell but poor ventilation. My play style tends to include a fair amount of running and I'm generally considered to be a sweaty b*st*rd. I originally wore a backwards baseball cap but decided I wanted better padding. That's when I got a headwrap (one with mesh over the top and one just to tie it down more securely/expand the padded area). Then I decided to get the armagillo for fun and it's actually been a pretty functional upgrade rather than just the looking cool factor I anticipated. I also play pump and am about to pick up a pistol so I'm right there with you with the whole crawling around all over the place. I love wooded fields. I keep it pretty simple in warm weather. I'm a scenario player but I find myself running and sliding a lot. Athletic under-shorts/compression whatever to keep things tidy and rub free. <- most important. Paintball pants, I have valken tiger stripe ones. Knee pads. - Makes sliding a dream and protects your precious knees from the world. I wear leather boots, soft to allow movement, but give good traction and protection from rocks and such. Either a paintball jersey or a cheap shirt/ athletic shirt. Jerseys don't tear and are breathable. I wear a chest-rig for my play-style. (want) elbow pads but not really needed. The rig gives me excellent weight distribution so I just manage water intake and heat through the day. I'd recommend getting a good setup from the waist down. You spend a lot of time on the ground and running so keeping things happy down below makes a long day of play enjoyable. Last edited by seajay; 08-25-2016 at 01:42 PM.